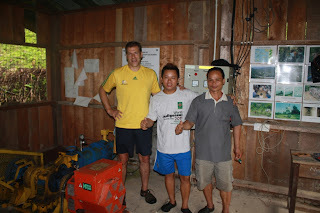 Last month Nobel Prize laureate and Renewable Energy Guru Prof Daniel Kammen from UC Berkeley visited our community micro hydro project in Kg. Buayan. it was an enjoyable trip.. hiking through the Croker Range.. good time sipping tapioca wine and sigging through the night. 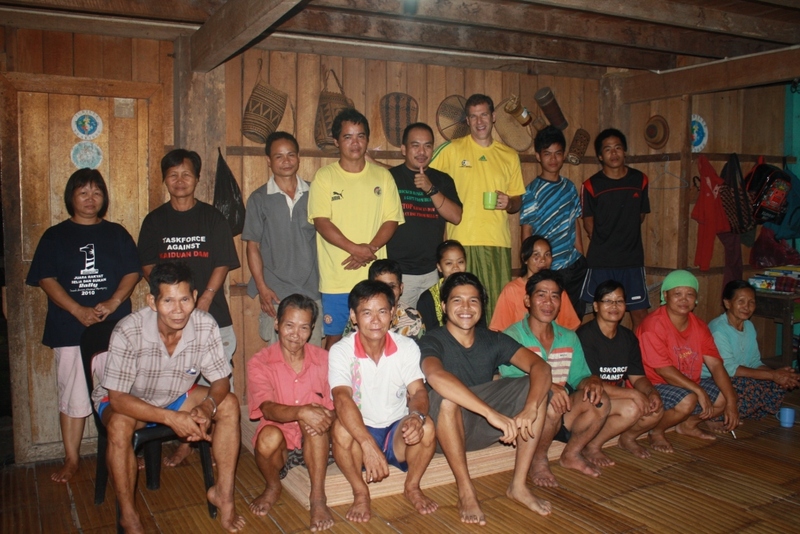 Prof Dan gave lots of new ideas on how to further improve the community project. Group photo with villagers. 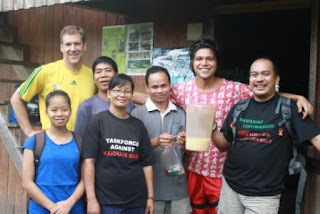 Pro Dan (holding Cup) says the Tapioca wine in Buayan not only taste good.. also have potential for Bio Fuel!! One for the road!.. some more Tapai with Gabe and Prof Dan.